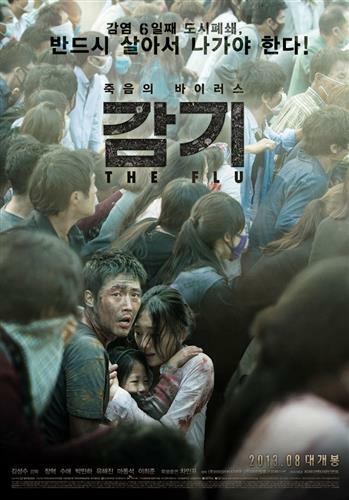 A Filipino student in Korea is in the cast of “The Flu” or ê°ê¸°, which stars Jang Hyuk and Soo Ae. Oh boy! They are two of my favorite Korean stars. The movie will be released on August 15 and based on the teasers that I’ve seen, it’s an “epidemic” movie. The Filipino student is Lester Avan Andrada and he is playing an important role in the movie. I learned about his inclusion in the movie last year from a friend. He said that Lester’s role is really important in the development of the movie. The Flu will also have a VIP premiere on August 5 and 6. Aside from “The Flu”, another Korean film “The Spy” starring Daniel Henney has Filipino actors in it. Last year, the movie “The Taste of Money” also stars Maui Taylor in an important role along with two Filipino children and a host of Filipino extras. Manila Bulletin features an exclusive interview with Lester Avan Andrada on his experience filming the movie “The Flu” or ê°ê¸°. As he was training at FEU-Korea’s Theater and Acting Department, he saw an ad for a role in a Korean film posted by a talent agent in March last year. He tried his luck and auditioned the following month. I’m definitely watching this movie..thanks for the info..
i want to visit Korea, really explore various places , i love to like this. hi, have you reviewed the movie My little hero with lead star kim rae won? it revolves a filipino young talent. Really awesome movie. I guess I watched that with Kim rae won…Awesome….